Success is everyone’s dream. It is part of human nature to want to grow, do better, increase and succeed. We do everything possible to succeed. We study hard, work hard, join the best companies, we associate ourselves with the best and influential people in the society, be the best boss, we try to do everything right. Then from nowhere without the slightest of warnings, life throws you a curve ball. Certain things and circumstances in life happen without a warning and they totally change our lives. Some of these things we do not have control over them, for example, natural occurrences. Initially, you thought you had made it in life, you thought you did everything right, and then, suddenly something happens. You might feel that it is unfair, but the fact is it has happened and you cannot change that. What do you do? Research shows that many success stories told all over the world are not because the people in those stories learned from success. They actually learned from problems, from failure and obstacles. Success is not a good teacher although that is what many of us want. You need to understand this. As much as you may not have control over certain problems and circumstances in your life or encounter in this journey of life, there is one very powerful thing that you totally have control over no matter what is happening around you; how you respond to your problems. You can choose to sit back and live a miserable life, or pick up the pieces and use your experience to make your life better than it was before. Dwelling in negativity, procrastination, and mediocrity is a huge problem, especially after you, have gone so much in life. It is important to understand that, you did not have control over what has happened to you and you need to wake up and face the reality. The sooner you do this the better. Life is not a perfectly straight line. Just like any other road, it has corners, sharp bends, potholes, bumps and so many other problems. But how you pick yourself up after a tragedy or after a bad incident is what matters. Do not sit there and expect other people to come and help you out. Even your family members can abandon you at your point of need. Therefore, do not wait and expect that someone will come and give you a hand, instead focus on finding solutions on your own. This way you will learn from your mistakes and this is the best way to achieve success. 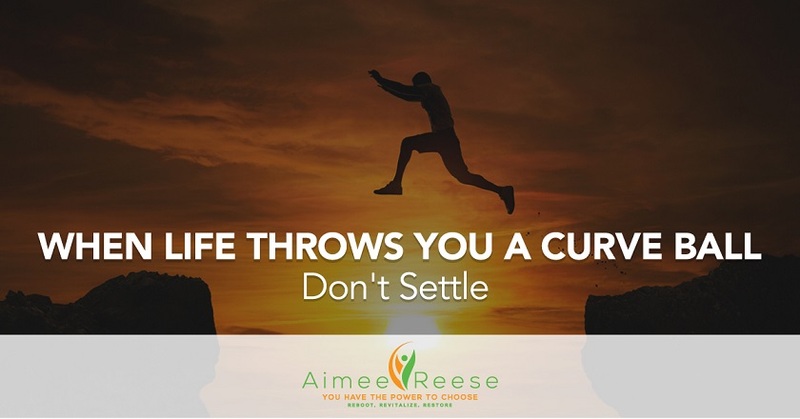 In other words, when life throws you a curve ball don’t settle for the negative make it a positive.